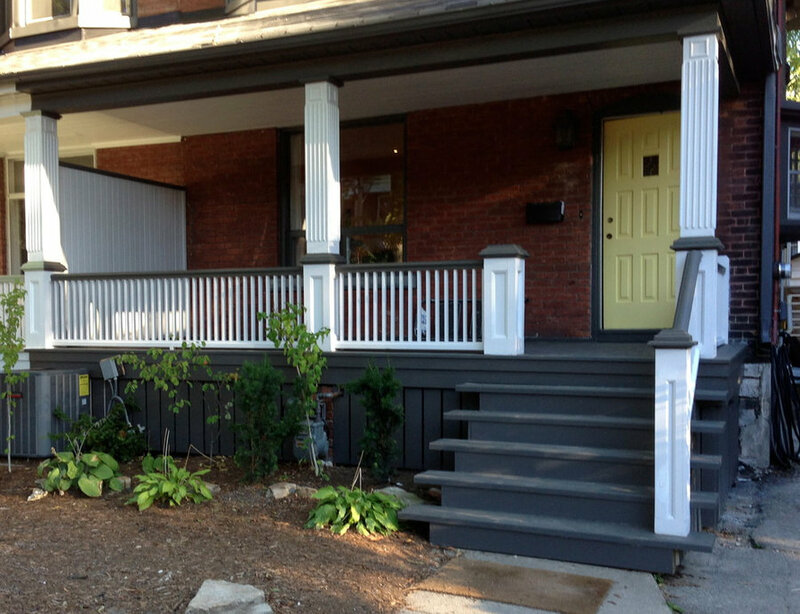 A grand semi-detached house along the trendy Roncesvalles strip in Toronto's west end had a porch that was partially failing. 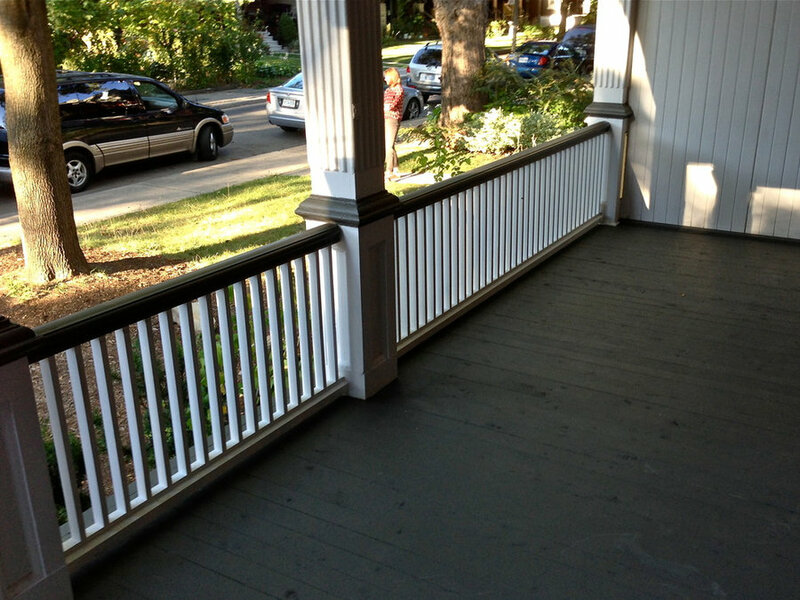 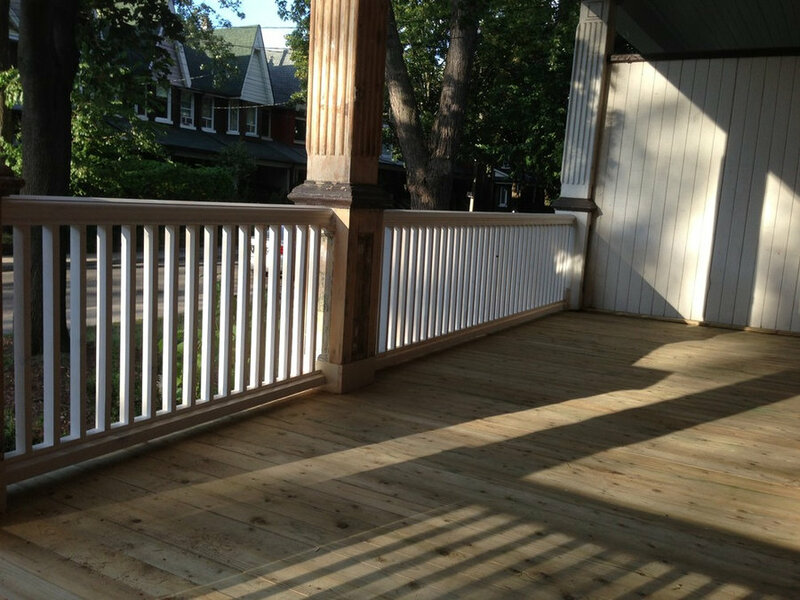 After reframing the porch itself and installing tongue and groove decking, new railings were added to the substantial existing columns - but only after every last layer of old paint had been removed. 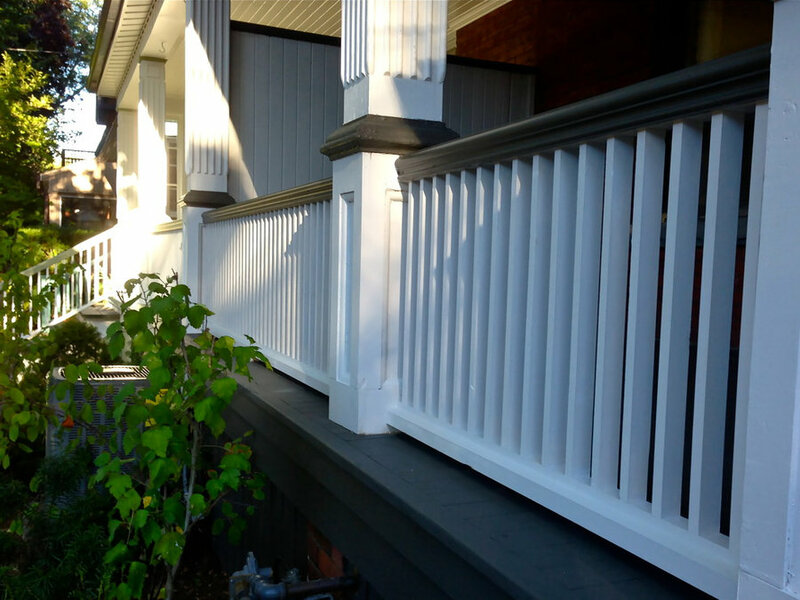 New paint made for a nice finished product.